Karien Boonzaaier is a South African artist based in Gauteng. 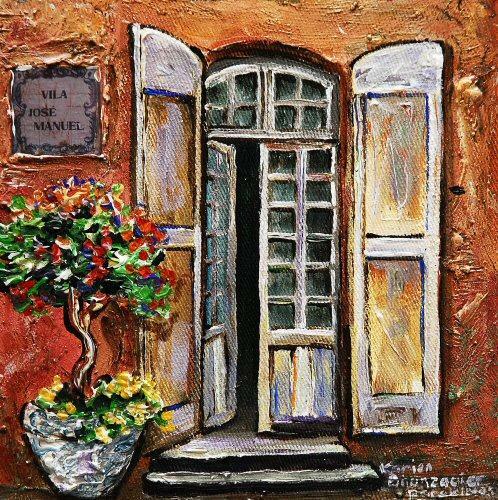 Painting is her passion and something that she only began on a later stage in her life. 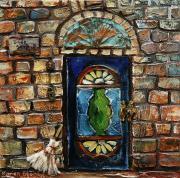 Her art knowledge and skill excelled while she was studying Fine Arts at UNISA. Painting means more to her than to just paint pretty pictures. It's about self discipline and the courage to open up your soul. She wants to convey a message of life and light - something that will make the observer experience a pleasant emotion. The shadows in an artist's life searches for expression and recognition on the canvas. 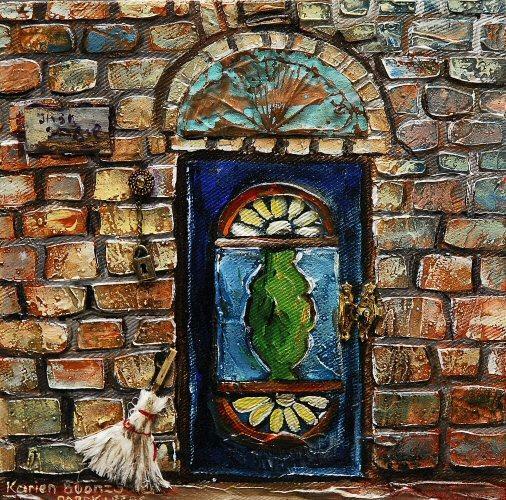 Karien and her husband love to travel and her charm with European architecture, leads her to the painting of themes such as walls, doors and roads. She sees a door as a metaphor for a choice. 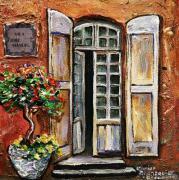 The words of Paul Cezanne are her daily inspiration: "I want to make art where my grandchildren can sit and have breakfast." Her faith is very important to her. The word "Parakletos" always appears under her name on canvas, which means the Holy Spirit is my Helper, Comforter and Advocate.